All are welcome to attend and please share this meeting invitation broadly so local salmon anglers know about it. There is no charge to attend, parking is free and the facilities are wheelchair accessible. There will be a cash bar in the room and I understand the hotel is planning a meeting dinner special in the restaurant for those who want to eat there before the meeting starts. The Sport Fishing Advisory Board (SFAB) main board is meeting this coming weekend, April 14-15, 2018 at the Airport Marriot Hotel, 7571 Westminster Highway, Richmond, BC. The public is welcome. Please respect the meeting chairperson with regard to speaking or presenting at this event. Follow this link to learn how to request meeting materials. At a March 20, 2018 meeting of the Upper Fraser Valley Sport Fishing Advisory Committee, an update on enforcement of fishing regulations raised a number of concerns, among these being the few Fisheries Officers and Conservation Officers available to keep order, and the significant number of illegal net sets these few officers managed to catch. Which begs the question as to how much illegal fishing on the river goes unremarked? Areas of reported high non-compliance in recreational fisheries were the Stave and Vedder Canal at Keith Wilson bridge. was confirmed that rules (i.e. bylaws) are in place prohibiting motorized vehicles. (ORR) line 1-800-465-4336 & Report All Poachers and Polluters (RAPP) 1-877-952-7277. DFO has extended the deadline for comments to be submitted on the 2018/19 draft Northern and Southern BC Salmon Integrated Fishery Management Plans (IFMPs) to April 13, 2018. The draft plans set out the policy framework that guides decision making, general objectives relating to management of stocks of concern, enhancement and enforcement, as well as decision guidelines for a range of fisheries. Plans for First Nations, recreational and commercial fisheries and post-season evaluations from the 2017 fishing season are also included. A number of key changes have been shaded in the draft IFMPs for comment and discussion. Comments may be provided in writing to Ashley Dobko via e-mail or to the local DFO office in your area. For more information, and perhaps a copy of the subject IFMPs, you may contact Ashley Dobko by email or at (604)-666-1505. You may read this summary document from DFO concerning fish and fisheries issues being considered by and of interest to the Sport Fishing Advisory Board. If you have any questions or would like your local reps to bring something to the table at the upcoming South Coast SFAB meeting this coming weekend, please feel free to contact Tom Cole at (250) 478-1306 or by email, or Chris Bos at (778) 426-4141 or by email before this Saturday. Mentioned in the document linked above is the Southern Resident Killer Whale fisheries management proposal from DFO. Earlier this year, in Feb and Mar, the Victoria and Area SFAB Committee held three emergency SFAB meetings (Sidney, Victoria and Sooke), where Martin Paish (SFAB Exec and IHPC SRKW Committee) and Chris Bos consulted with the local angling community so that a suitable response could be submitted to DFO from our sector relating to their proposal. The formal SFAB response was submitted before March 15th deadline and included the recommendations coming from the emergency meetings. Regarding 2018 Chinook fishing coastwide – the department has recently sent out a document indicating they are contemplating additional Chinook management measures for BC this year. The concern DFO anticipates poor returns of number of stocks including but not limited to Skeena and Fraser Rivers. While no final decision on what measures may be taken has been made, further reductions in exploitation are being considered. 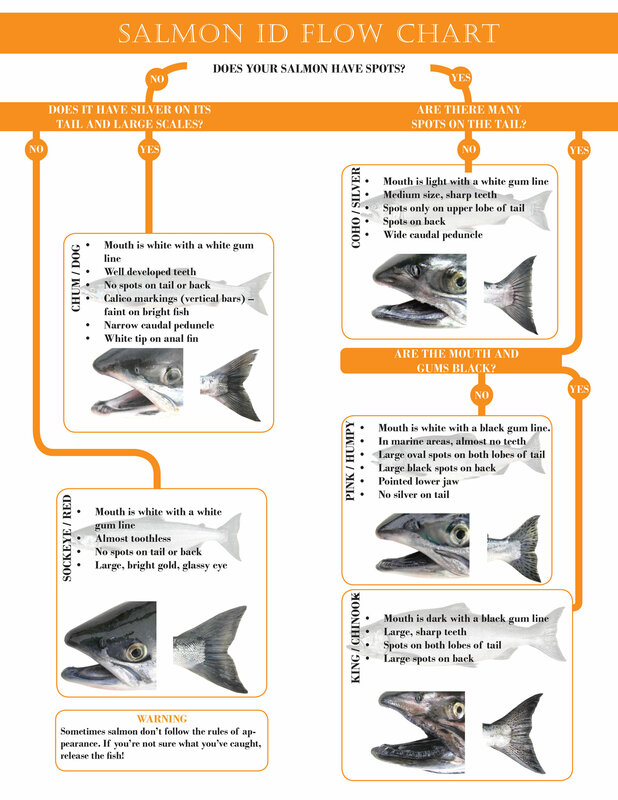 For Fisheries Management Areas 18, 19 and 20 early timed Fraser stream-type Chinook are expected to be low too. It is not anticipated to have a closure of the Chinook fishery locally, but DFO might seek some additional tightening of the regs. SFAB reps will discuss this topic with DFO prior to the upcoming South Coast meeting.